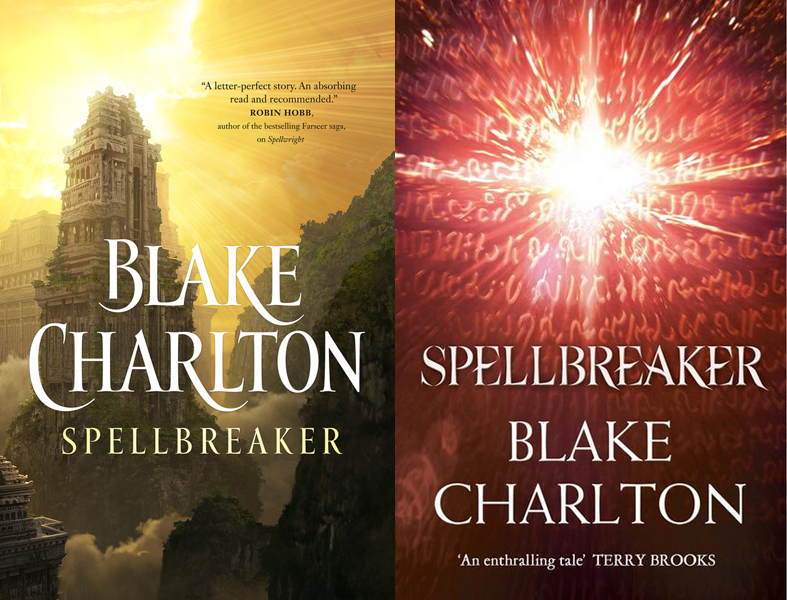 “Is this book a standalone or the third in your trilogy?” A question that I’ve had to address since the publication of my latest book, Spellbreaker. The answer, perhaps confusingly, is yes. When justifying this answer, I’ve done a lot of thinking about the way stories are told in series, particularly in epic fantasy. While hunting neodemons in her role as Warden of Ixos, Leandra obtains a prophetic spell that provides a glimpse one day into her future. She discovers that she is doomed to murder someone she loves, soon, but not who. That’s a pretty big problem for a woman who has a shark god for a lover, a hostile empress for an aunt, a rogue misspelling wizard for a father, and a mother who — especially when arguing with her daughter — can be a real dragon. As chaos spreads across Ixos, Leandra and her troubled family must race to uncover the shocking truth about a prophesied demonic invasion, human language, and their own identities — if they don’t kill each other first. For more, be sure to check out the author’s website, and follow him on Twitter, Goodreads and Facebook.